For review, here are the five different aggravating factors claimed by the prosecution (and conceded by the defense): 1. Multiple victims, with universal malice manifesting extreme indifference to human life. 2. Intentional killing of a child under the age of twelve. 3. Knowingly creating a grave risk of danger to another person in addition to the intended victims (this would include those people in Theater 8, as well as others at the complex). 4. Murder in the first degree in an especially heinous, cruel or depraved manner (teargassing and shooting people in a darkened theater as they sat with their families). 5. Murder in the first degree while lying in wait, or ambush (The murders were certainly a form of ambush. Holmes cased the area thoroughly and arrived early). Veronica was the only child murdered by Mr Holmes in that theater. Therefore, she is the only victim for whom all five aggravating factors apply. For the other eleven victims only four apply. Therefore, there are a total 98 aggravating factors [ (22 X 4) + (2 X 5) = 98], every one of which clearly applies to the rampage of Mr Holmes. The jury only needs to find ONE. I find it quite interesting, that people who come here and comment, if they are not here every day and don't fall into single file, then they are called trolls, whatever that really means. I have not commented here in a very long time, because I find this arena to be extremely juvenile in the way that people behave here, so I just watch the video, and the live feed, and basically don't discuss anything with this discussion forum. @fascinated i'm with you. i don't understand the hold up. @fascinated, I thought so too. I thought the prosecution has clearly proved all five of those aggravating factors. I think the court was even thinking they would finish deliberating yesterday. I have an attorney here at my job and I was asking him questions about this yesterday (and the trial throughout). He said that if they don't finish today, they'll probably end up hung next week by Tuesday or Wednesday, they'll come back in but he said the judge could send them back out to deliberate again. I just remembered...There is a lawyer on the jury. Couldn't he/she be able to explain the leagal language if they don't understand that they only have to come up with a certain number of aggrevating factors? So one is the reporter....the other is the CEO? 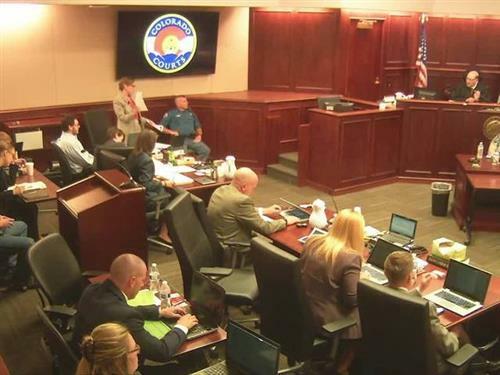 7NEWSThe judge in the movie theater shooting trial banned Newsweek from the court house premises for the rest of the trial. On the link Anica provided about the penalty phases....what does If they do move to the next phase, jurors will be asked to hear mitigating factors presented by the defense. Why does it say "IF". Can the next phase not happen? @Kristie - Yes - the jury has to agree on at least one of the aggravating factors to move forward. If they do not, the gunman will automatically get life in prison without parole. @resa their penalty is they don't get to be in the courtroom. it was indirect contempt. @Tim. You are not a Troll. A Troll is someone that wants to go to any type of social media and just cause havoc. There is actually proof of "Trolls" being paid from other countries to create havoc on a social media topics to sway public opinion or create a disturbance. They are not always harmless and bored people. @fascinated - I'm not sure if two people can use the same name, but I turned over comment approval to my boss and she allows a lot of stuff that Phil and I wouldn't. No shortage of Plaid shirts for Phil. @fascinated I think the jury wants to feel unanimously confident that the aggravators presented were proven. My understanding is that mitigators are weighed against the aggravators. It would have to be pretty convincing in phase 2 mitigators for me personally to find anything to outweigh the aggravators if i believed they were proven. @Tired: I just created an Instagram account last year so I'm new to it all too. I don't have a FB page. It seems everywhere you go, especially the beach, there are numerous "selfie sticks". The world has gone crazy being viral way way way too much. Everything we do doesn't have to be "posted". In believe the reporter and Newsweek were both banned from the courtroom and courthouse grounds. Quickest and easiest way to penalize them, but I'd have enjoyed a Contempt of Court charge along with it! @Suzanne Phil is much better at it than I am! I thought court was resuming today at the regular time. we have to remember...those of us out here have seen more than the jury....so it seems clear on the mitigating factors....however, getting 12 people agreeing to DP is not going to be an easy task. That's the beauty of the system....it is weighed heavily in that jury room. fascinated, that has actually happened before. Tammy- I think my feed is wacked. I thought you asked if I saw your post... (?) ;) 'Sorry. @kristle it did. they've been deliberating. they didn't convene beforehand. fascinated, no, yesterday after I left Me asked a question about the Methodist Church, the death penalty and my opinion about it, so it was directed at him. @Anica: No, no, no.....not SheThor. You and your entourage of guys (Phil, Marshall, etc) are "Gem and The RockStars!" The jury has submitted another note. The judge will take the bench in 5 minutes. @ Anica - I wish you and Phil were approving the comments. No bad feelings to your boss, but you both know this group well. But I understand you have your hands full. Is this the police officer whose wife is sick? 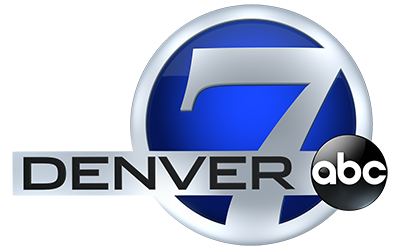 @anica i know you don't like when we mention other news outlets, but 9news ran a great story on detective grizzle (who testified about it being a 'nightmare' and wanting to answer the ringing phones) and his wife. she's got a lot of health issues (brain tumor, breast cancer) and they have started a gofundme. the day he testified, he had to leave her side in the hospital. I just logged on. Are the jurors still deliberating on phase 1? All of the mitigating facts and circumstances will be balanced against any one of the aggravating factors, no matter how many are found by the jury, not the cumulative number. Apparently this simple logic has escaped the jury which seems to have lost the forest for the trees. I understand their desire to be thorough and deliberate but this is all clearly unnecessary, isn't it?